"Plymouth was my first choice as there is a good maritime history in the city and the University. Few universities offer this type of degree, which is linked to a professional qualification in the Merchant Navy. The wide range of material studied on the course and the practical experience of the Merchant Navy qualification is extremely valuable in the marine sector. 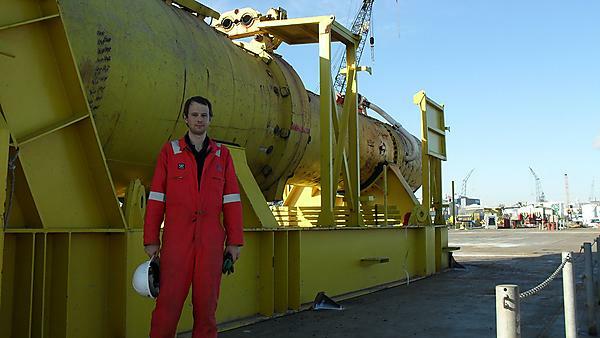 My degree has given me a good understanding of the whole shipping industry, including commercial and practical elements, which I can use well in the marine projects industry. The range of knowledge gained has been very useful when dealing with clients who need well-informed decision making. As Project Coordinator with Osprey Shipping I am responsible for planning and managing marine transport projects. There is lots to learn in the shipping industry which always keeps me interested.